Putnam Investments’ most recent Putnam Lifetime Income Score report has revealed that one of the primary factors that continues to determine the preparedness levels of retirees is savings behavior. Most U.S. households are set to replace only 65 percent of pre-retirement income after entering retirement. 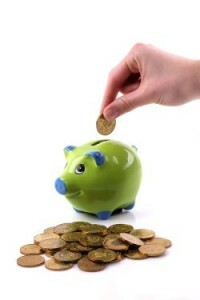 Employees best placed for financial stability are those with access to workplace savings plans. Household savings continued to be the critical factor in determining the level of household retirement preparedness. Those households that were found to be best prepared had a total household retirement savings rate of 27.4 percent, while the least prepared households had a retirement savings rate of just 5.1 percent. “While this year’s Putnam Lifetime Income Score research provides a number of reasons to be optimistic about the ability of working Americans to take the fate of their retirement security into their own hands, it also underscores the work that still needs to be done by the industry and policy makers to preserve and strengthen our country’s retirement system,” said Edmund F. Murphy III, Head of Defined Contribution, Putnam Investments. • The decision to use or not use a financial advisor has a pronounced effect on retirement savings as those who utilized a financial advisor saw a significant increase in savings over 2011 compared to those who did not. These individuals actually saw retirement savings decline over the year. • Retirement savings were significantly higher for those who processed a financial plan, especially one that considered health care costs, compared to those who did not. • Plan-eligible workers in the information services industry had the highest expected savings while plan-ineligible workers, regardless of industry, had the lowest.